I’m super excited about this post today because it’s something I’ve been talking to you guys about a ton – organizing! I have spent most of my time in January organizing our house and freshening it up for the new year! I’m thrilled to be teaming up with Gordman’s for this post and share some of the best finds! I have been shopping at Gordman’s for years now! There is right down the street from my house and I’m always stopping in when I’m looking for home stuff at great prices! Gordman’s is an off-price retailer. Off-price retailers buy excess inventory from department and specialty stores, then sell it at greatly reduced prices. For shoppers like me, that means exceptional deals on designer and name brand fashion and home décor. I always find the perfect pieces for our home at amazing prices! This time I went in for two things. 1.) 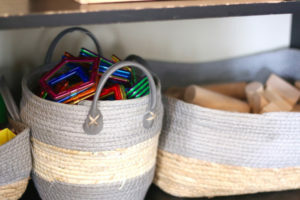 Organizing Baskets 2.) 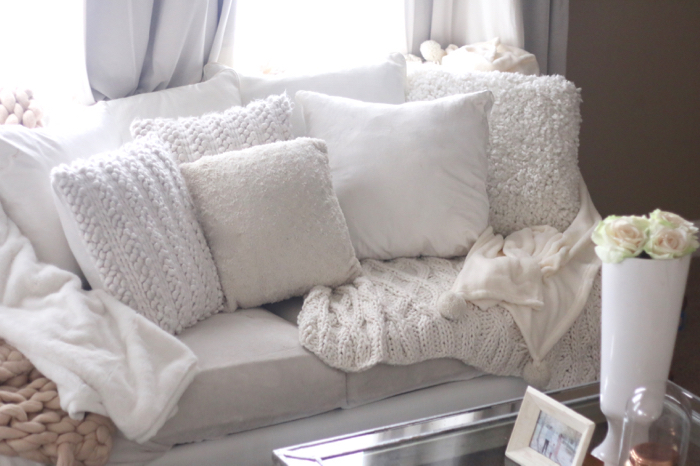 Blankets + Cozy Throws. I was lucky enough to find both and get a great deal! 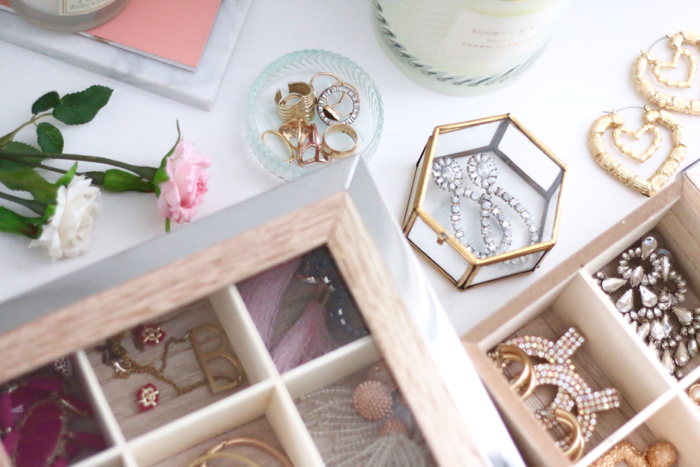 When it comes to organizing our I like for things simple and useful! 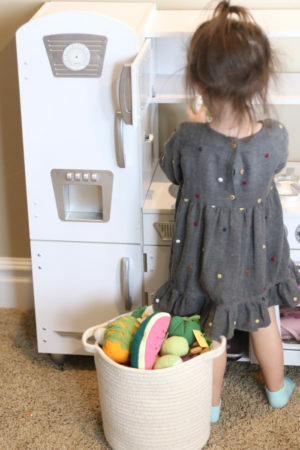 I try to keep it clean for the kids because they play with their toys 10x more when they are organized and it makes clean up a breeze when they know exactly where everything goes. Just like the toy shelf below. For one, my kids always go back to their classic toys. 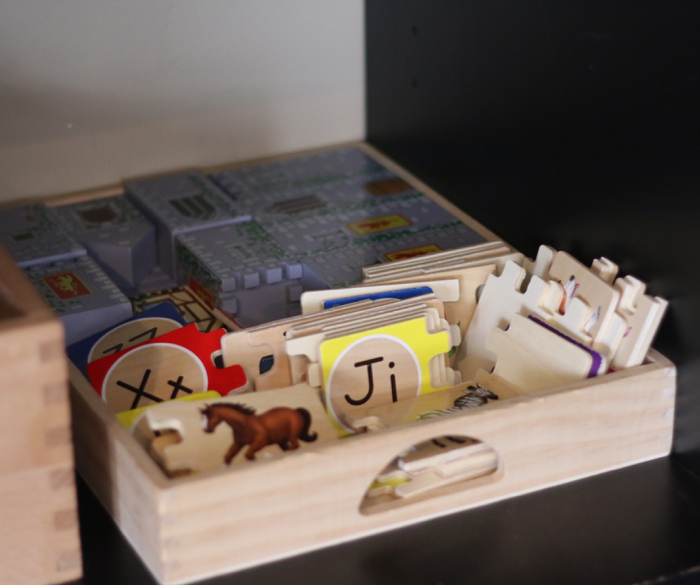 Their blocks, magnets, puzzles, and games. I keep those as visible as possible on the shelf and make sure they are in bins that they can manage/hold. I found all of these bins at Gordman’s and knew they were perfect! 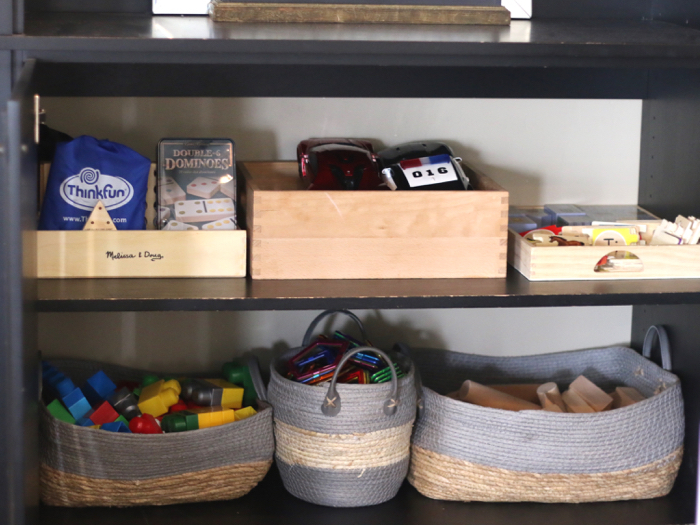 They keep the toys organized but are still kid friendly! Win, win! 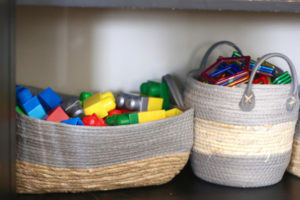 The same thing goes for the same white baskets I grabbed for the kid’s toy kitchen! We keep it tidy but I want it to be a friendly area for the kids to play. 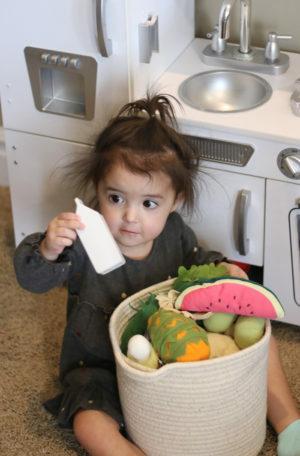 Leaving this cute woven basket on food by their kitchen allows them to play with it as much as they want but also keeps it neat, along with blending into the living room decor. Gordman’s had the best selection of woven baskets. 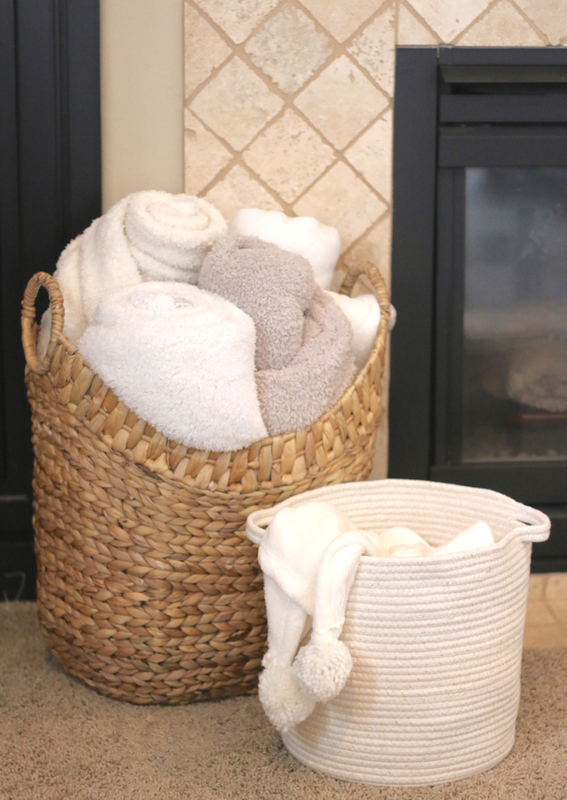 I have been loving the woven basket trend lately and feel it makes our house extra cozy but also practical! I grabbed this large wicker basket at Gordman’s along with the smaller white one to keep our blankets for our living room rolled up in. We love to cuddle on the couch and watch a movie but never without a cozy blanket. 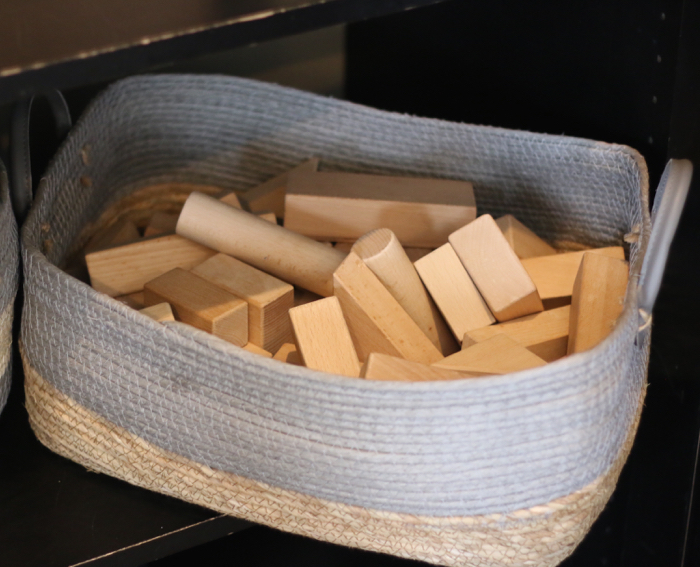 This is a wonderful + easy way to make our house homey yet organized! We also have company over all the time and I love that they feel comfortable enough to grab a blanket and chat on the couch! That brings me to warming up our house for the winter months! I love decorating but keep our decor very simple and focus on textures! This brings me to the colder months and I always turn to tons of blankets thrown over our couches. This gives them extra texture and a cozy vibe. 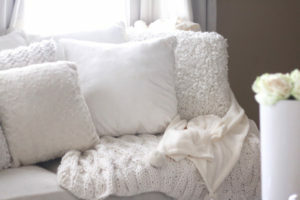 I stick to the whites because that’s the style of our house but throwing a couple knitted blankets over the furniture and added some fun fluffy pillows always gives it a warm and inviting feel. I grabbed these fun pillows and chunky knits at Gordman’s and I’m pretty sure they are Trevor’s favorite thing! 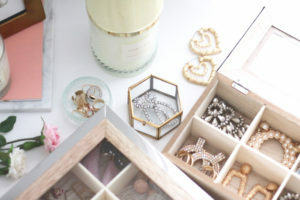 Last but not least organizing my jewelry! 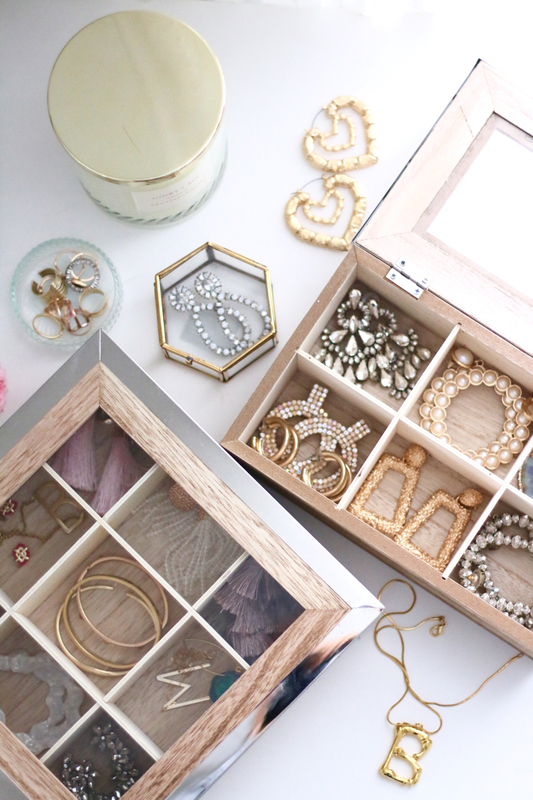 You guys know I love jewelry but in the past, I haven’t been the best at organizing it. 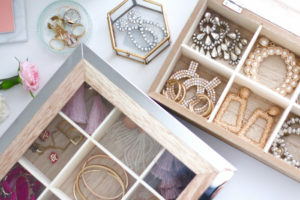 I found the cutest jewelry boxes/organizers at Gordman’s and fell in love! 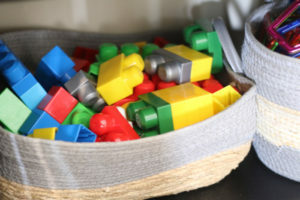 I loved them, even more, when I put them in my room and saw how perfectly they fit in. They are practical and stylish! A perfect way for me to see my options when it comes to the jewelry I want to wear for the day but also looks like a simple decoration in our bedroom! I also grabbed a couple smaller glass boxes to put my rings in so they aren’t just scattered around my room when I take them off. Having our house more organized + cozy has made my life so much easier! I feel clear on clutter and everything has a place now. I love how easy + efficient it was to find things at Gordman’s to help with my organizing journey! Previous Post Cozy Print Cardigans!